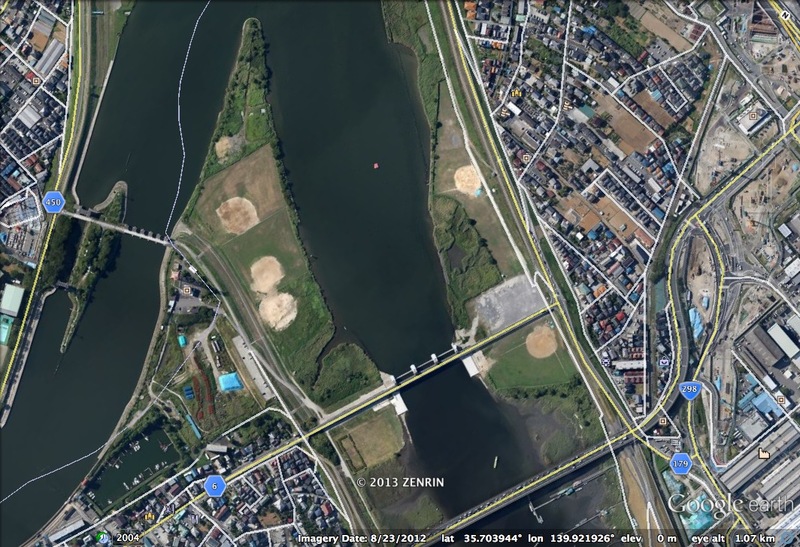 The next bridge across the Edogawa is interesting. It's a highway bridge with floodgates, probably meant to stop high tide from bringing seawater up the Edogawa. I wonder how well the gates did at stopping the storm surge during the typhoon on Monday? Hopefully someone put the gates up as high as they could go before the storm hit. 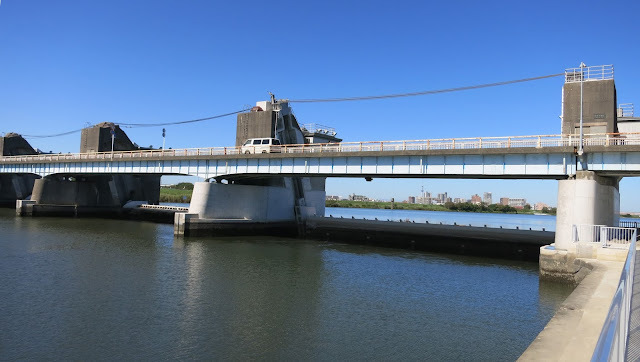 The Old Route 6 Bridge is a 1400 ft long steel stringer bridge on pier walls except where it is supported by the gates across the Edogawa. Note how the river splits into the Edogawa and a canal just north of the bridge and how the canal also has floodgates (in the Google earth photo below). Tokyo Prefecture, Japan's Bridges: Route 6 Bridge across the Edogawa by Mark Yashinsky is licensed under a Creative Commons Attribution-NonCommercial-NoDerivs 3.0 Unported License.